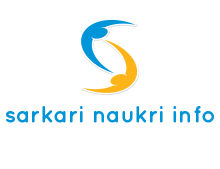 Junior Executive Trainee job position in Rajkot Nagarik Sahakari Bank Ltd.
Qualification : First Class Graduate (Except Arts) OR M.Com / LLB / MBA / MCA. PGDCA / DCA / JAIIB/ CAIIB / COPA (with 1 year apprenticeship) preferable.Expereince:2 years experience in any Co-Operative bank or any financial institute is preferable. Candidate Should be well versed with Computer knowledge.